Now, you can book a studio via LINE! Feel free to contact us by adding us as your friend on LINE. 1st Hour FREE! 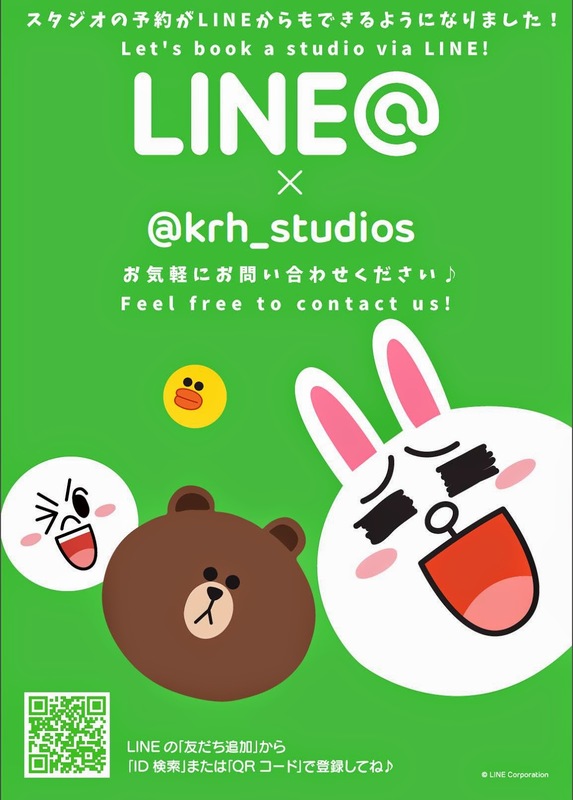 KRH Studios Official LINE Account Join Up Coupon! By being a friend of KRH Studios on LINE, you will receive occasional coupons and discounts, and that is actually a cool thing.